Low CTR (click through rate) products are those generate little clicks from buyers with massive exposure, which means that buyers have little interest in your product listings. Low quality product photo, crude product name, low response rate may affect your click through rate. 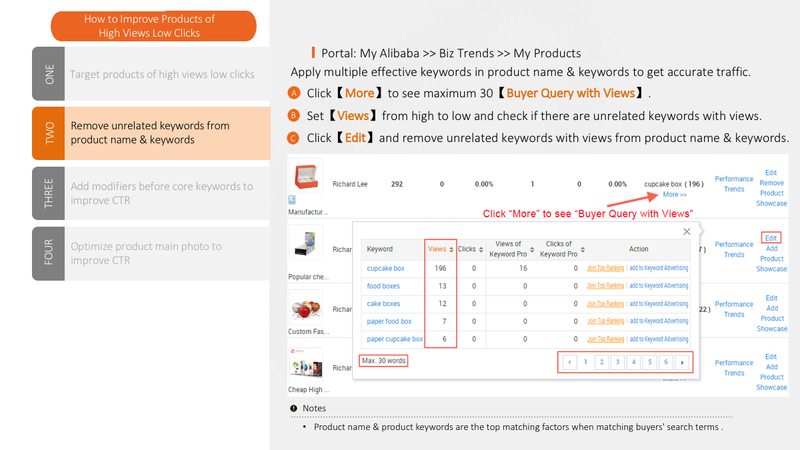 You can easily find low CTR products in Biz Trends. Optimize them accordingly and earn more buyers now!